We combine tradition with technology, creativity and inventiveness in our log cabin construction. Our computer-aided log home design and state-of-the-art CNC capabilities makes it easy for us to create a variety of log cabins to suit any style. Our extensive selection of log houses includes something to match almost any budget and you’ll find log cabins suited to almost any lifestyle or aesthetic appeal. Whether you’re a do-it-yourself type or ready to work with a professional log cabin builder, technical support and detailed instructions from T&B Log Homes make it simple to get started. 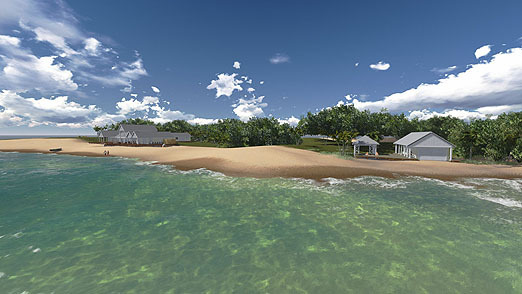 T&B has begun contstruction on an exclusive homesated on a private island near Shungu Mbili in Tanzania. Follow this unique project as it progresses... Read More. 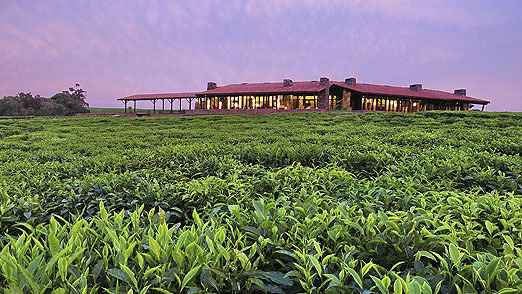 This lodge was built in Rwanda high up in the mountains near the town of Kigali on the border of the Congo, actually in a tea plantation that is in between indigenous forests... Read More.